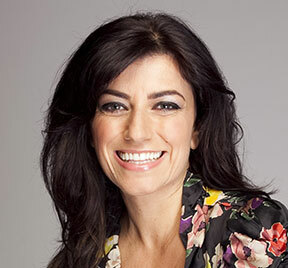 Angela Pippos is a journalist, writer, television and radio presenter, film producer and public speaker based in Melbourne. Angela left her native South Australia in 1997 to pursue a sports journalism career with the ABC in Melbourne. She’s best known for anchoring the sports segment on the ABC TV News for almost a decade. Searching for a new challenge in 2007, Angela ventured where no woman has dared go – the testosterone-charged world of breakfast sports radio. She’s appeared on a number of sports programs including Network Ten’s Before the Game and The Back Page on Fox Sports. Angela’s first book, The Goddess Advantage – One Year in the Life of a Football Worshipper (Text Publishing) loosely follows her life during the 2005 AFL season. Angela has contributed to a number of publications including The Footy Almanac (Malarkey Publications), It Happened on a Fishing Trip (Affirm Press) and From the Outer (Black Inc). Her sharp, thought-provoking columns appear in The New Daily. 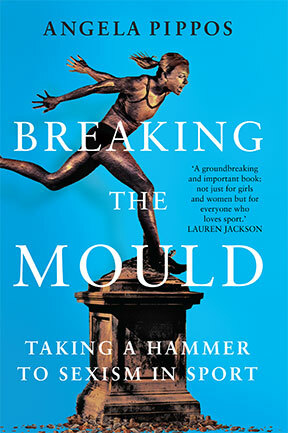 Angela has just released her second book, Breaking The Mould – Taking A Hammer To Sexism In Sport and the television documentary she wrote, produced and presented about the rise of women in Australian Rules football, League of Her Own, aired on the Seven Network in February 2017. Angela is a regular contributor to 774 ABC Melbourne, ABC Grandstand and 891 ABC Adelaide. She has an Honours degree in Politics from the University of Adelaide.